It is worth reminding ourselves what the art 50 negotiations in Brussels are intended to achieve. 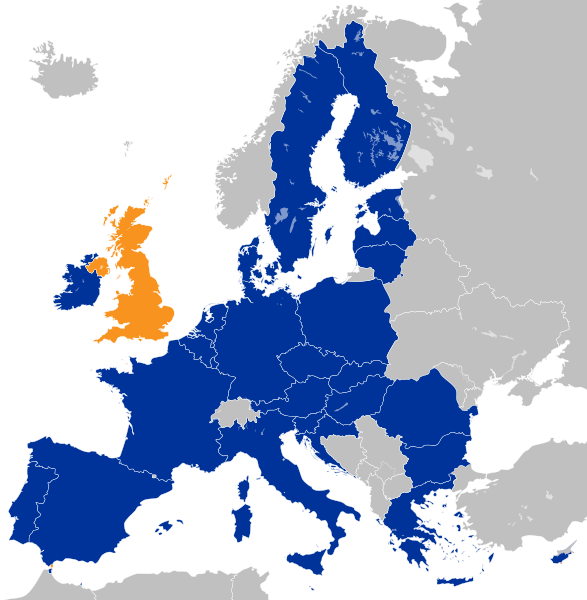 Much of our economic, industrial, international trade and social policies of the post war period have been founded on agreements and legislation made under the Treaty on European Union and the Treaty on the Functioning of the European Union ("the Treaties"). Art 50 (3) of the Treaty on European provides that those Treaties and everything that has been built up on top of them will cease to apply to the United Kingdom on the 29 March 2019 or sooner if we negotiate a withdrawal agreement "unless the European Council, in agreement with the Member State concerned, unanimously decides to extend this period." The purpose of the negotiations in Brussels between the Rt Hon David Davis MP and Monsieur Michel Barnier and their respective negotiating teams is to hammer out a withdrawal agreement that will allow British pensioners on the Costa to keep their homes, doctors and nurses from Ireland and the Continent to continue working for the NHS, commuters in Dundalk to go to work in Newry without showing a passport and for the United Kingdom to honour funding commitments it made before last June's referendum. What those talks are not about (and indeed cannot be about unless and until Monsieur Barnier receives a mandate from the Council under art 218 (2) of the Treaty on the Functioning of the European Union) is trade. At the start of the negotiations, it seemed that the British government recognized that reality but the spate of position and future partnership papers on such matters as data protection and future customers arrangements suggest that it does not. Those papers are all very worthy and I have reviewed some of them in New Position Papers from DxEU 26 Aug 2017 and HMG's Exchange and Protection of Personal Data Position Paper 26 Aug 2017 NIPC Data Protection). They may be useful for future negotiations but they are completely irrelevant to any of the negotiations that are in hand right now or indeed for the foreseeable future. "This week, we made some useful clarifications on a lot of points, for example, the status of frontier workers, the aggregation of social security rights, and pending legal proceedings before the Court of Justice, to name but three. But we made no decisive progress on the main subjects, even though – and I want to say so – the discussion on Ireland was fruitful. On this subject – which I continue to follow personally, as all other areas – we made real progress on the question of the Common Travel Area, on the basis of guarantees by the United Kingdom, and we clarified, in a constructive manner, what remains to be done, particularly with regards to North-South cooperation in the Good Friday Agreement. But, I repeat again, time is passing quickly for us to reach a global agreement. 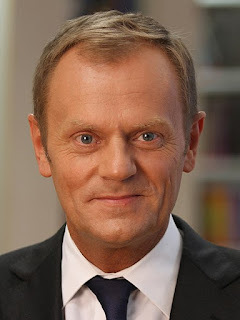 At the current speed, we are far from being able to recommend to the European Council that there has been sufficient progress in order to start discussions on the future relationship, while we are finalising the withdrawal agreement throughout 2018." "This week we have had long and detailed discussions across multiple areas and I think it is fair to say, that we have seen some concrete progress. I mean, Michel referred to one, but I think there’s been more than that. Talks this week have once again focussed on citizens’ rights, on financial matters, on Northern Ireland and Ireland, and on issues relating to our separation. I’m pleased to say we have engaged in detail on all of those areas." Looking on the bright side, there is slightly more green ink on the Scott schedule on citizens' rights as of 31 Aug 2017 than there was on 19 July 2017 mainly in relation to frontier workers and healthcare but there still remains an awful lot of red. My view is that the sticking point will not be over financial contributions but over enforcement of any withdrawal agreement by individuals and companies once the rule in Francovich goes (see Dispute Resolution - A Potential Deal Breaker 4 Aug 2017 and HMG's Enforcement and Dispute Resolution Position Paper 23 Aug 2017). If we can't get agreement on that we won't get any kind of withdrawal agreement let alone a favourable trade agreement. Regrettably, I have no progress to report on the unitary patent and Unified Patent Court. German ratification appears to have stalled over a constitutional objection that has prevented the President from signing into law legislation that has already cleared both houses of the German federal legislature, I asked Markus Grampp what the objection was all about at the Cambridge IP Law Summer School which we both addressed, but neither he nor any of the other German lawyers at the event seemed to know. One reasonably certain consequence of Brexit is that we lose not only the European institutions in London which I mentioned in my last Brexit briefing of 5 Aug 2017 but also jobs in the financial serviced industry to Frankfurt and other financial centres. They, on the other hand, will do very well out of Brexit (see How Frankfurt could benefit from Brexit: WHU-Otto Beisheim School of Management Study 29 Aug 2017). A lot will be happening in September. Parliament will begin discussion on the European Union (Withdrawal) Bill when it returns for a few days before the party conferences. There could be all sorts of upsets at those conferences except perhaps for the LibDems, especially as Labour appears to have changed its tack on the single market and customs union. There will also be another round of negotiations between Mr Davis and Monsieur Barnier which will be particularly important for it will be the last chance for the Council to decide whether there has been sufficient progress on the Brexit terms to justify talks on the future relations. 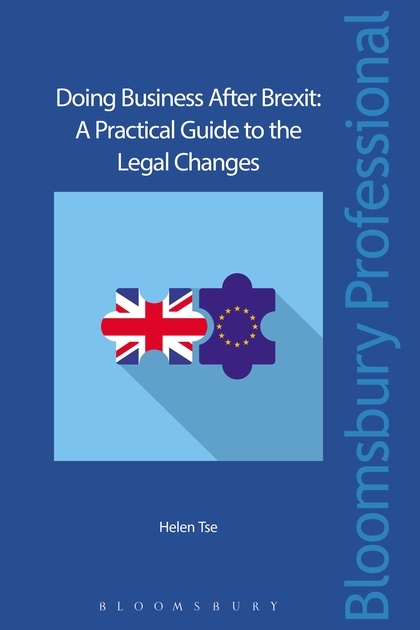 On a more positive note, Helen Tse's Doing Business After Brexit for which I wrote the chapter on intellectual property and data protection is now on sale. It will be launched at a meeting of the Pro-Manchester SME Club on 20 Sept 2017. Should anybody wish to discuss this article or Brexit generally, call me on +44 (0)20 7404 5252 during office hours or send me a message through my contact form.